Aimed at those who work with children, this course is ideally suited to those in early years care and education. 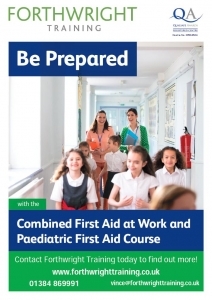 Although many topics covered will be on our general first aid courses, the main objective of this course is to give you an understanding of the most common injuries and illnesses affecting the very young. This course now includes Guidance on the use of emergency salbutamol inhalers in schools – September 2014 as issued by the DEPARTMENT of HEALTH .